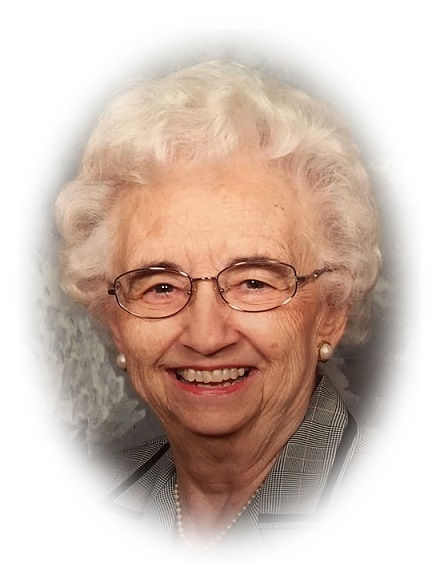 Harriet J. Stein, 94, of Monroeville passed away early Friday morning, October 26, 2018 in the Mill Creek Nursing & Rehab facility in Galion. She was born August 3, 1924 in Berlin Heights, Ohio to Arthur and Irene (Sprau) Miller. She was a 1942 graduate of Monroeville High School. Harriet was the secretary to the Superintendent of Monroeville Local Schools. She also worked as a secretary for Monroeville Oil Company, Dr. Sparks, and the bank in Monroeville. She was a member of Trinity Lutheran Church of Monroeville, where she was active as the choir director, in the Couples Club, and as church council secretary. She was a member of the American Legion Auxiliary. Harriet’s hobbies included camping, playing cards, dancing with Edgar. She also was always supportive of her grandchildren and great grandchildren in whatever activity they were involved in. She and her husband Edgar enjoyed wintering in Arizona with family and friends. She is survived by one daughter, Elaine (Jim) Ruth of Galion; two sons, Dale (Stephanie) Stein of Shreve, Ohio, and Darrell (Lori) Stein of Greenville, S.C.; eight grandchildren, Dan (Molly) Ruth, Matt (Marie) Ruth, Lori Ruth, Sarah (Mike) Sigler, Adam (Morgan) Stein, Austin (Chelsea) Stein, Nicholle Stein, and Andrew Stein; thirteen great grandchildren, Evan, Olivia, Ella, Halle, Anna, Leyla, Kenzie, Zoe, Paxton, Grant, Natalie, Lexi, and Sullivan; nieces, nephews, and other relatives. She was preceded in death by her husband of 62 years, Edgar A. Stein; her parents, and two brothers, Laverne and Eldon Miller. The family would like to thank Mill Creek Nursing & Rehab Center for their loving care and compassion for Harriet. Friends may call from 5:00 PM – 7:00 PM on Tuesday, October 30, 2018 at the Pfeil Funeral Home, Monroeville Chapel, 109 Monroe Street, Monroeville, and on Wednesday, October 31, 2018 from 10:00 AM until time of funeral service at 11:00 AM at Trinity Lutheran Church, 121 Broad Street, Monroeville, Ohio 44847. The Rev. Dr. Amy C. Little will officiate. Burial will be in Riverside Cemetery, Monroeville. In lieu of flowers, memorial contributions may be made to Trinity Lutheran Church.